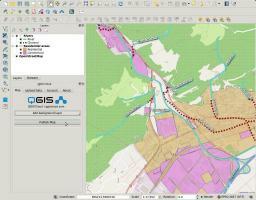 Use QGIS Cloud for free and start right away! QGIS Cloud is your powerful Web-GIS platform for publishing maps, data and services on the internet. 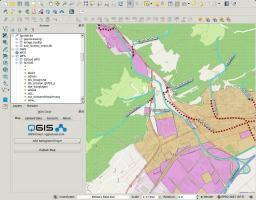 Create and edit professional maps with all the capabilities from QGIS. With only a few short mouse-clicks you can share your work on qgiscloud.com with the public. 6. Web Map is online! QGIS Cloud is your personal spatial data infrastructure (SDI) on the internet. Publish QGIS projects as maps and data. Share spatial data with others. And all this very easily, without server, infrastructure or expert knowledge. If you know QGIS Desktop, then you know QGIS Cloud. 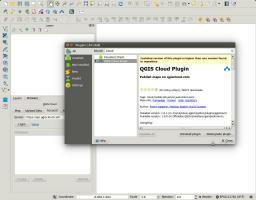 Simply install the QGIS Cloud plugin from the official QGIS plugin repository and you are ready to go. Publish as many maps as you want. With QGIS Cloud Free, all maps published on the internet are freely accessible by anyone, at zero cost. If you would like to limit the access to your maps, then QGIS Cloud Pro is the right solution for you. If you are already running an infrastructure, then QGIS private Cloud is right for you. It allows you to keep full control of all your data and maps, for maximum security. QGIS private Cloud runs on virtually any platform, and the installation is dead simple. Just a few mouse clicks and you have a full SDI to publish your maps and data on the intranet and internet. What features are offered by QGIS Cloud? Create complex maps with QGIS desktop, using any of the styling possibilities offered by QGIS desktop. Just as you have always done with QGIS desktop. Then simply publish data and maps with the QGIS Cloud pluign. All this in just a few minutes, it's as simple as it gets. QGIS Cloud gives you a full-featured PostgreSQL 9 databases, extended with PostGIS 2. 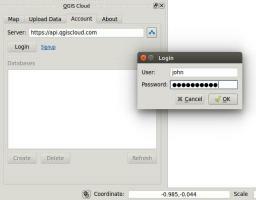 Create new databases directly from the QGIS Cloud plugin with just a click. 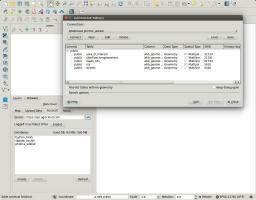 Manage your databases with any compatible management tool, such as pgAdmin3, the QGIS Browser or the QGIS DB-Manager. You have full access to all features of a PostgreSQL/PostGIS database. Share your maps and data over OGC (Open Geospatial Consortium) compliant web services. Display your maps via WMS, or download the data via WFS. With WFS-T, you can edit your data directly over the web service. Or use the QGIS Cloud WebGIS and Mobile Client integrated in QGIS Cloud. If your information and data should not be publicly accessible, QGIS Cloud pro allows you to restrict access by protecting the resources with a password. Offer high quality maps via WMS for printing. 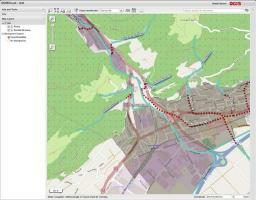 Just create as many print compositions as you please with QGIS Desktop, with all the options it offers to you. Compose maps for arbitrary paper formats, with printing resolution up to 1200 dpi. The data is stored in the cloud in PostgreSQL databases. Access to the databases is protected with a password, and accessed through SSH. If you want to share your services only to a restricted group of people, then you can limit access to the resources. For this, you'll need QGIS Cloud Pro. With QGIS Cloud Free, all QGIS Cloud services are openly accessible. A Web Map Service (WMS) is an interface to request portions of a map over the internet. Clients typically use WMS to render large background layers, such as world maps. A Web Feature Service (WFS) provides internet based access to spatial data within a distributed GIS. WFS is limited to vector data. The Transaction WFS supports all functionalities of the Web Feature Service (WFS). It additionally supports write access to the data.